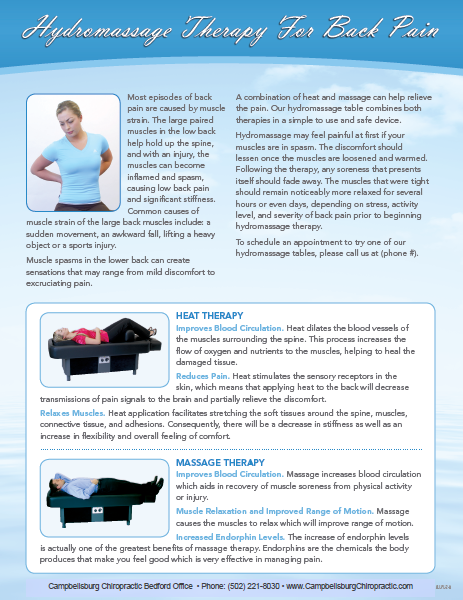 HydroMassage is only available at our Bedford Office location! Ask about packages and special pricing! HydroMassage gift cards available also!